security of a computer is something that should be taken very seriously, especially if on that PC are stored important files or personal data. The numerous malware threats that roam on the Internet can be kept at bay if the protection of a system relies on solid tools that can control the data exchange, while permanently scanning for possible infiltrations. Perhaps the most often used combination in this respect is that of a separate antivirus with an independent firewall, in case the security solution doesn't have one of its own already built-in. For those who are still on the lookout for such a security system, FortKnox Personal Firewall could be one of the possible candidates. As soon as is it installed onto the PC, FortKnox Personal Firewall will demand a reboot in order to run properly and after the restart is acknowledged, you will be able to use it at its fullest. The rather nice looking and friendly interface of this program will allow all users to benefit from all the features of this utility and configure it with minimal efforts. 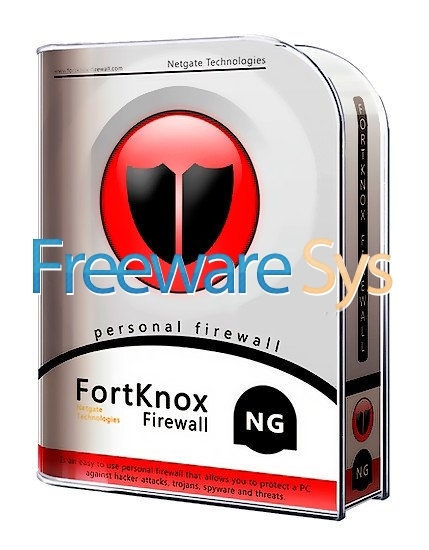 All the functions are neatly organized and there are dedicated tabs for each feature of FortKnox Personal Firewall. Thus, you can watch a live graph that keeps you posted about the incoming and outgoing traffic, as well as of the attack history. For each active connection you have the possibility to view detailed information which includes IP, domain, MAC address and the active process that triggered it. Also, there are some advanced options that enable you to perform a traceroute or whois lookup and actually look on an online map at the exact location for that connection. Suspicious processes can be terminated on the spot, with one click, just like any connection you do not trust. For the more experienced users, there is an 'Advanced' area where firewall rules can be created and edited manually. With FortKnox Personal Firewall you can even enforce temporary or permanent restrictions for certain types of connections coming from processes started by selected users. Overall, the software proves to be in very good working condition, it provides sufficient configurations and a strong security layer to fit the needs of most users.